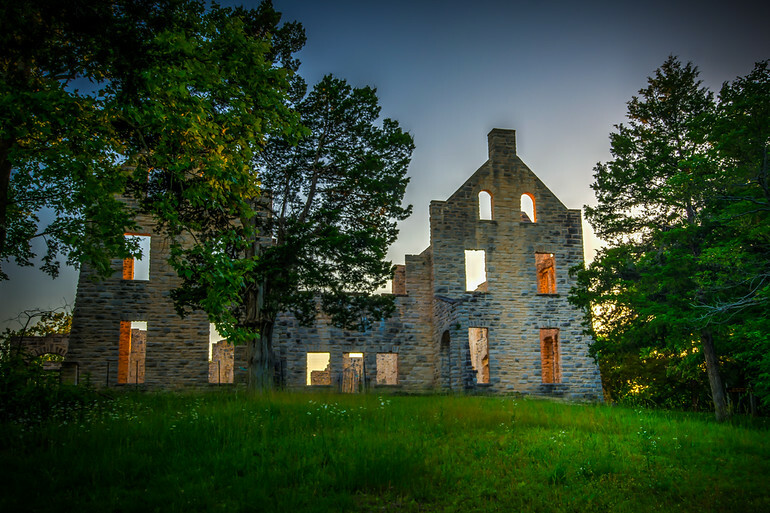 This is an old burned out mansion on what is now Ha Ha Tonka State Park in Central Missouri. Waiting for sunset gives the orange glow in the windows. Processing as a 5 shot HDR photo helped bring out the effect. If you have not been to this park it is one of the best in Missouri.